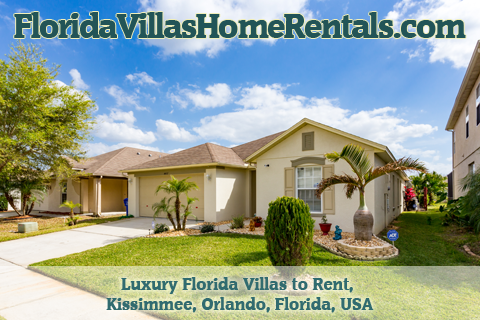 Florida Villas Home Rentals provide luxury holiday villas in and rental accommodation in Kissimmee, Florida. Our privately owned 3 bedroom and 4 bedroom luxury holiday villas and rental accommodation have private heated pools and are situated just 2 miles south of the main Highway 192, where you will find many shops, bars and restaurants including the superstores Wal-Mart and Target. Eagle Pointe and Liberty Village are communities in peaceful surroundings, yet only 15 minutes from the Disney Theme Parks. This enables you to leave the parks and rest at mid-day, then revisit later in the day for Firework displays etc. For more photographs of our luxury holiday villas or our rental accommodation in Kissimmee Florida and further information on our homes please select a property from the menu above.